The following is a list of Tom’s upcoming lectures as well as some of the more recent ones. Tom has been invited by the Headmaster of this lovely Prep School to come and give a lecture to Year 7 and 8 about climbing Mount Everest. The underlying theme will be 'persistence' and 'perseverance'. He will speak about being optimistic, determined, passionate and lucky. He will show lots of photos and tell his story around them. The lecture is called 'Journey to the Top’! Tom is very much looking forward to this one as he has heard many great things about Walhampton! On Wednesday 4th July, Tom will be speaking to the school leavers and staff about the way persistence and hard work brings reward. In particular, he will speak about his experiences, whilst on Mount Everest. He will be showing slides and a short DVD. Tom will be speaking to a select group of extremely successful CEO's about his climb to the top of the world and relating it to the importance of making key decisions under pressure. He will speak about determination and success having overcome certain obstacles along the way. A private networking event in the beautiful Dining Room in the Mews of Mayfair. "Standing on top of the World"
Tom will speaking about perseverance to the girls and boys at Conifers School in West Sussex on 17th March, 2017. 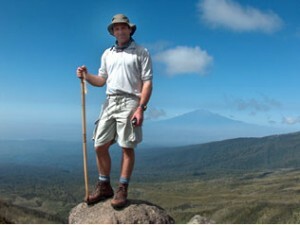 He will be speaking about climbing in the Himalayas, mountain unicycling and the art of knitting! Perseverance is a vital ingredient for all these things! The lecture starts at 2.30pm for the Thursday Club in the Village Hall in Rogate, West Sussex. Tom is giving a motivation talk on Everest at Cliveden House in Buckinghamshire for a group of top tier event suppliers and senior event managers. A networking event in the wonderful setting of Cliveden House in Buckinghamshire. South Harting School - "Flying High"